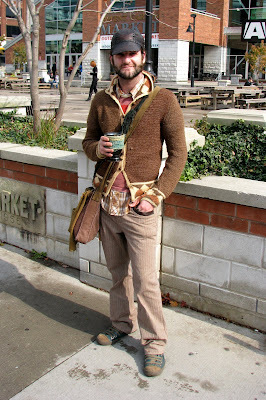 In a city where most of the men wear boring suits or baggy jeans and hoodies with skulls on them, Joel stands out as having his own eclectic look, and always manages to incorporate different fabrics and patterns. He would likely not describe himself as "stylish", but I think he has great style. 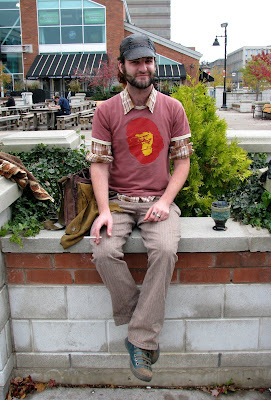 and he has this cool Planet of the Apes t-shirt..
HIS MUG IS WEARING CLOTHING.